Showing results for tags 'L spine'. 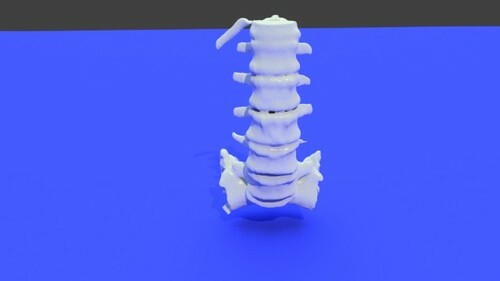 This 3D printable STL model of the lumbar spine is normal except for degenerative changes in the posterior elements. STS_002. This model was created using the democratiz3D service. 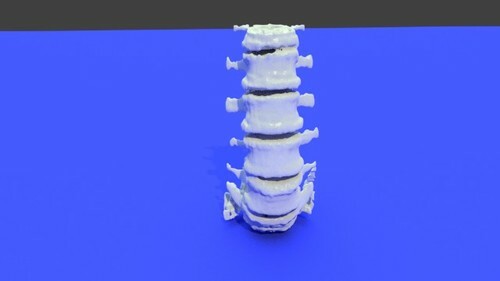 This is a 3D printable STL model of a normal lumbar spine derived from a CT scan. This model was created using the democratiz3D service. 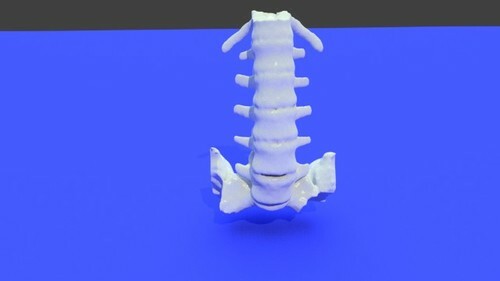 This high quality .FORM file of the lumbar spine is confirmed 3D printable on Formlabs printers. It was taken from a patient with a chronic L2 lumbar spine compression fracture. The abnormal L2 vertebral body has caused severe degenerative change at the L2-3 level, with obliteration of the L2-3 intervertebral disk and severe osteophyte formation. The fracture and collapse of the L2-3 disk causes subluxation of the facet joints at this level, and narrowing of the L2 neural foramen. It is clearly illustrated how degenerative, arthritic change can result in nerve pinching at the neural foramen. 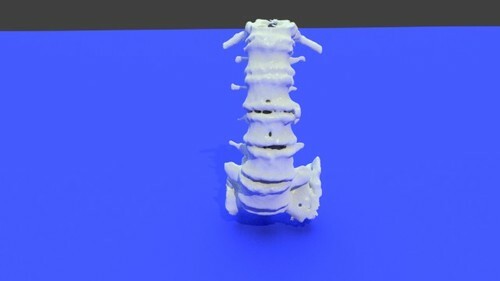 This model can be used for scientific and medical education, and shows what compression fractures and degenerative spine disease look like. Also, the model is useful for teaching spinal interventions, such as lumbar punctures, epidural steroid injections, selective nerve root blocks, vertebroplasty, and kyphoplasty. The file is in .FORM file format for Formlabs printers, 53.9 MB 221181 vertices, 442558 polygons Confirmed printable on Formlabs Form 2 with white resin. 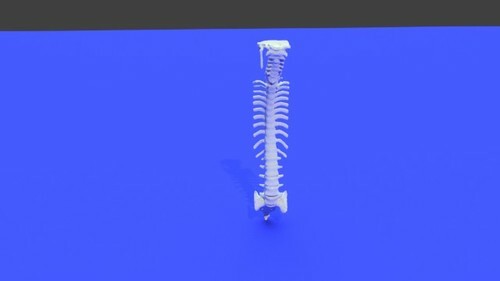 This high quality STL file of the lumbar spine is confirmed 3D printable. It was taken from a patient with a chronic L2 lumbar spine compression fracture. The abnormal L2 vertebral body has caused severe degenerative change at the L2-3 level, with obliteration of the L2-3 intervertebral disk and severe osteophyte formation. The fracture and collapse of the L2-3 disk causes subluxation of the facet joints at this level, and narrowing of the L2 neural foramen. It is clearly illustrated how degenerative, arthritic change can result in nerve pinching at the neural foramen. 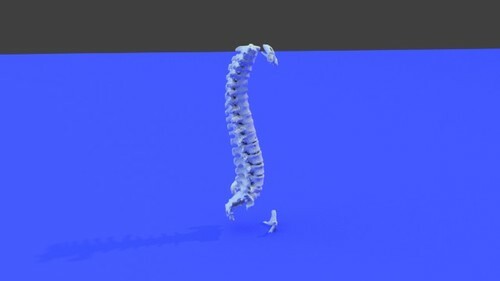 This model can be used for scientific and medical education, and shows what compression fractures and degenerative spine disease look like. Also, the model is useful for teaching spinal interventions, such as lumbar punctures, epidural steroid injections, selective nerve root blocks, vertebroplasty, and kyphoplasty. The file is in STL file format. 21.6 MB 221181 vertices, 442558 polygons Confirmed printable on Formlabs Form 2 with white resin.